Super long wearing foundation that delivers high comfort and new skin finishes with medium to heavy coverage. 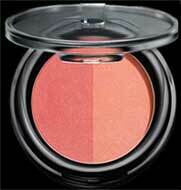 This sensorial gel like creamy texture blends perfectly to give an even and weightless skin- like coverage. 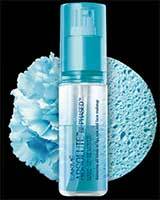 Protective, weightless and skin smoothing finish with the highest skin affinity. 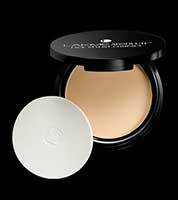 Natural and seamless coverage perfectly conceals imperfections, uneven skin and under-eye circles. 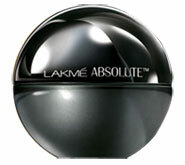 One product, two functions - Lakmé Absolute Bi-Phased Make-up Remover is a unique formulation where the oil phase lifts off makeup while the water phase refreshes and conditions skin without leaving any stickiness. It effortlessly removes all traces of makeup from the face, leaving the skin feeling fresh and hydrated. This mousse to powder formula delivers a feather-light finish giving you breathable natural skin. While its weightless formulation hides pores, fine lines and uneven skin tone to leave skin peachy soft all through the day.With SPF 8, lasts upto 16 hours. 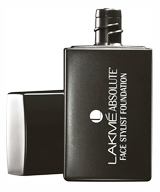 Prolong that fair and natural finish and enjoy full coverage all day long with this fabulous foundation. This ultra-light, water-based, oil-free formulation also contains Vitamin B3 to keep skin soft, naturally fair, breathable skin and supple. 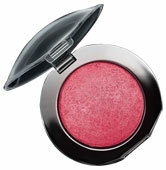 Look naturally fair and flawless through the day with this dual long wear compact with soft focus effect. Its unique formula contains Hyaluronic Acid that deeply hydrates your skin restoring its natural youth and glow and Vitamin B3 that makes you look visibly fairer. Mask dark circles, blemishes and signs of fatigue effortlessly to reveal skin that looks fresh and breathes naturally. This ultra-light all over concealer also contains Vitamin B3 to deliver a fair and flawless finish that lasts through the day. Capture that shimmering glow onto your skin with this luxurious powder blush that has been baked on Italian terra cotta tiles. Silky soft, it comes packed with the goodness of Jojoba Oil and the antioxidant power of Vitamin E, for an extraordinary luminosity. This luxurious face and body bronzing duo contains micro-fine velvet pearls that deliver a natural sun-kissed glow and a luminous finish that lasts all day. This luxurious ultra-pearlised face highlighter duo contains micro-fine velvet pearls that melt into your skin for a natural luminous glow.